Longwood has a unique opportunity to transform a long blighted parcel on Middle Country Road in Middle Island into a Field of Dreams Park and to preserve some wonderful open space, too. The NYS DEC will buy the northern 28 acres and add it to the Rocky Point Forest Preserve. Suffolk County will purchase the southwest 21 acres and the Town of Brookhaven will build a community park there — similar to the Heritage Park in Mt Sinai, with a walking trail, playground, ball fields, gardens and more. But none of this can happen if realtor owners Wilbur Breslin and Fred Colin turn down these purchase offers, which expire March 31, 2019. Please contact them NOW and tell them to say YES! 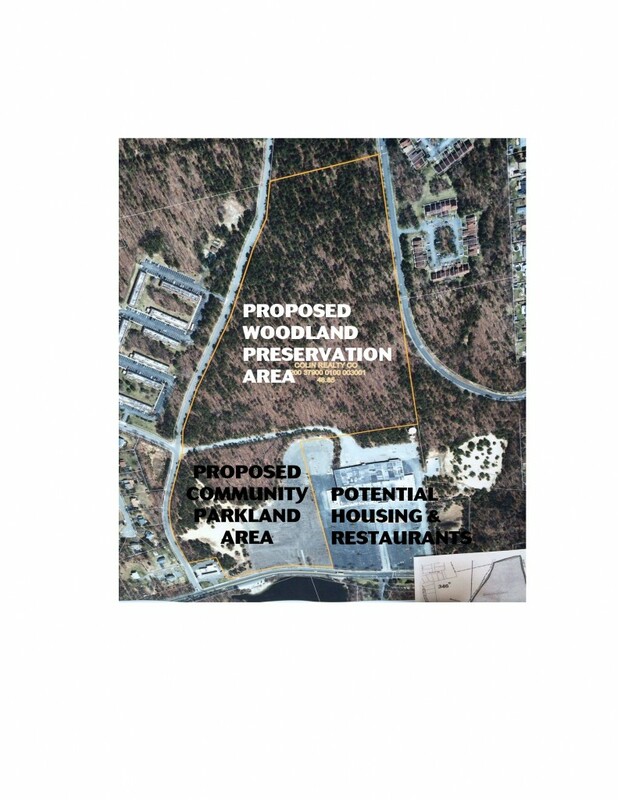 Accepting the dual offers will save the woodlands and move the park forward. Breslin and Colin MAY still develop their 25 acres to the southeast with senior housing and restaurants. But we do NOT want the mega housing plan they are considering with over 500 rental units. This will destroy the woods, clog Rt. 25 and overwhelm our schools. Wilbur & Fred: become Longwood’s heroes and say YES! Legislator says officials have increased their previous offer of about $1.8 million to developer Wilbur Breslin for the vacant property, which would become a park. Suffolk County officials said they will try again to buy a 21-acre parcel in Middle Island and turn it into a new park. The Suffolk Legislature on Tuesday voted unanimously to approve a procedural motion authorizing officials to submit a bid to Garden City developer Wilbur Breslin to buy the land. A shuttered Kmart on the site was demolished two years ago. Breslin last year rejected a previous offer of about $1.8 million, Legis. Sarah Anker (D-Mount Sinai) said in an interview. The new offer, which Anker said is “slightly more” than the previous one, will be submitted to Breslin in about a week, and he has 90 days to accept or reject it. Breslin did not return phone calls and an email requesting comment. 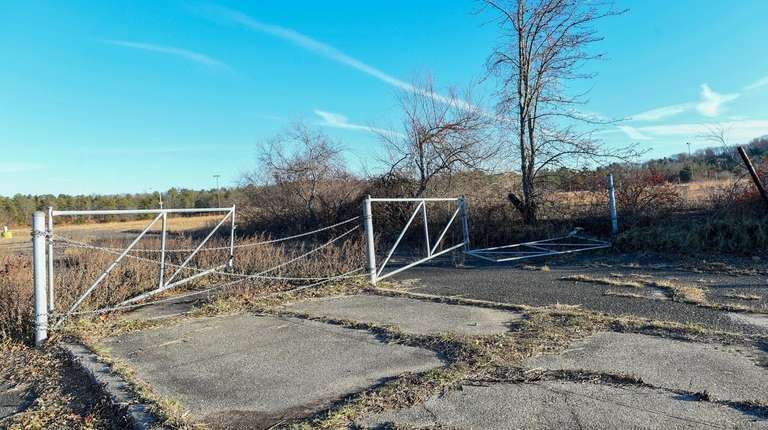 Suffolk and Brookhaven Town officials last year announced a deal in which the county would buy part of the 75-acre property on Middle Country Road and the town would turn it into a park with athletic fields. As part of the deal, the state Department of Environmental Conservation would purchase a 28-acre section and preserve it for open space. Breslin would keep the remaining 26 acres for potential development. A spokeswoman said the DEC is in “active negotiations” to buy the parcel, which would be added to the Rocky Point State Forest. The vacant property has been considered an eyesore since the Kmart closed about a dozen years ago. The body of a murder victim was found in a wooded area of the property in April 2016, shortly before Breslin demolished the shuttered store. Gail Lynch-Bailey, president of the Middle Island Civic Association, said she was “very excited that this is back in the realm of possibility,” adding that the state’s interest in buying some of the land might improve the chances that the property will be sold. Anker said the county and town’s portion of the land may be managed by the Longwood Youth Sports Association, which would use the site for its athletic programs and other events. The group runs sports leagues used by about 3,000 children. This weekend the Middle Island Fire Department celebrated its 70th Anniversary with a carnival, parade and fireworks display — on your property in Middle Island. Our Middle Island Civic Association was delighted to participate in the parade and attend both the carnival and fireworks. Thank you both for allowing this unprecedented event to go forward. It was a wonderful and memorable celebration which the entire community enjoyed. Below are a few photos from our civic website as evidence of the festivities. Being on that parcel again reminded many of us how huge it is — and how huge its potential is! We are still eager to meet with you and learn about your latest plans for this property. Also, we recently received confirmation from NYS DOT that a traffic signal will be installed at the intersection of Rt 25 and Currans Rd. Previous plans made you responsible for this costly improvement. I hope this relief will serve as motivation for progress at the most significant property in Middle Island. Many thanks to our members who participated in MIFD’s 70th Anniversary Parade. We looked great marching down Middle Country Road in our red, white and blue. And it was wonderful to hear the crowd saying “Thank You” to both the FD and the civic!